Skin conditions such as Psoriasis, Eczema, atopic dermatitis, Dandruff, dry skin, Tinea Versicolor, Rosacea, Seborrhoeic dermatitis, Acne are in many cases thought to be caused by the fungus Malassezia. Malassezia grows optimally in an environment when the pH is between 4 and 8. (ref.) Therefore it is critical the skin pH be around 4 or ideally slightly lower. The use of soaps, water, creams and makeup on the skin can alter it’s pH considerably. Washing skin with soap and water may change the skin’s pH by up too 2 points making it more alkaline and it may take over 6 hours to return back to normal baseline. Many manufacturers know this and thus “pH balance” soaps, lotions and creams to make them more acidic. And in ignorant cases more alkaline, so it’s prudent to check. Therefore you want to check every single ingredient in a lotion/cream to make sure it is not within that range or else it will feed the Malassezia. For a list of oils (12-24) to avoid click here for a table. Even if the skin issue is not caused specifically by Malassezia, it may be caused by another bacteria. The following strategies will still be effective however minus the pharmaceutical antifungals. Bacteria also form biofilms, and the pH component is critical in mediating the entire skin microbiome. There are several strategies that can be used to kill the fungus and provide temporary relief. Keep in mind however it will grow back quickly unless the underlying environmental pH conditions skin are changed from the inside out. Malassezia as it grows forms a biofilm around itself for protection purposes. 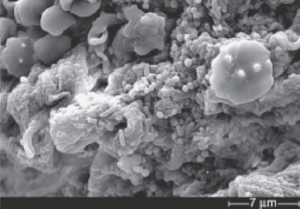 Pharmaceutical antifungals can be used but often have limited impact and will need to be used for extended periods of time due to the very slow process of moving through the biofilm. Acidifying the skin topically using Apple Cider vinegar has also helped many people. Other acidic compounds may work as well. Lactic Acid and urea are often used in creams specifically for eczema. Sandalwood oil which contains the compound Farnesol may also be helpful. Farnesol is a quorum-sensing molecule which inhibits the growth of fungi such as Candida. There is some evidence to suggest that it works on Malassezia as well. An ideal topical lotion might contain…. The primary root cause of the above listed skin issues is in most cases the original use of antibiotics. Antibiotics even used once cause mass extinction on the gut biome level permanently altering the ecology which helps regulate many important functions in your body. Antiobiotics are targeted towards bacteria and in the vacuum created, often fungus take over. The goal here is to re-balance the gut biome to affect the skin. A person can affect dramatic change when using specific pre and pro biotic strategies as has been demonstrated recently with the wide use of Resistant Starch. The most dominant variable governing skin pH appears to be lactic acid. (reference) The skin has what is called an “acid mantle” that protects against foreign invaders and helps maintain skin integrity. So the goal here is to hopefully use the BEST pre and probiotics for increasing lactic acid in the body. This appears to be best done by supporting the growth of lactobacilli in the small intestine. Incidentally this is same strategy to use to combat Candida growth in the small intestine and in many cases it is probable that people have both internal and external fungal infections concurrently. Over growth of Malassezia on the skin is a good indicator of internal dysbiosis. I have no idea if this strategy will increase lactic acid at the skin level, however blood pH is tightly regulated (7.35 – 7.45), so I am hoping lactic acid produced in the gut may transfer quickly to the skin if there is an adequate supply. Many studies and anecdotes seem to suggest that pre & pro biotics can cure all manner of skin issues and I believe the lactobacilli producing lactic acid are the primary reason for this. The problem is results are often intermittent. For some people taking the probiotics alone appears to be good enough. However in more serious cases it is likely necessary to take a more aggressive approach especially if the problem is systemic. How aggressive a person may need to be I don’t know, it will be up to you to experiment. How does skin become acidic? There appears to be several mechanisms. The goal is to maximally produce acetic, lactic & propionic acid internally with the goal of having it secret through the skin. For a prebiotic I recommend using pectin. In prebiotic comparison studies it ferments all-around the best of many prebiotics with respect to lactic acid producing bacteria. Because tinea versicolor flares most frequently in hot climates when sweating is increased it is likely that the neutral pH of sweat is what is allowing the fungus on the skin to grow. Therefore by making the sweat more acidic it’s possible to perhaps eliminate malassezia. The following are some acids found in sweat that perhaps could be boosted with supplementation. There are at least two primary body-ego functions of skin psychologically speaking and that is Energy Management and Boundaries. Skin is the boundary layer between the physical self and the environment serving the important function of differentiation. At an emotional level it is also the boundary which contains energetic-emotional energy. Developmental disruptions in childhood and/or trauma later in life can have a negative effect on these important psychological functions which then negatively affect the endocrine system that is responsible for regulating these psycho-physiological parts of ourselves. The sensi-motor development of each boundary layer occurs during different developmental time periods in relationship to the self and people in the environment. I don’t want to get into the nuances of what each boundary layer means (there is an e-course coming on the subject soon), but the important point is that gaps in boundary development and enforcement will put undue stress on other boundary layers. For example, a parent may not have respected a child’s personal boundaries frequently overwhelming them physically or emotionally, but may have respected their territorial space. 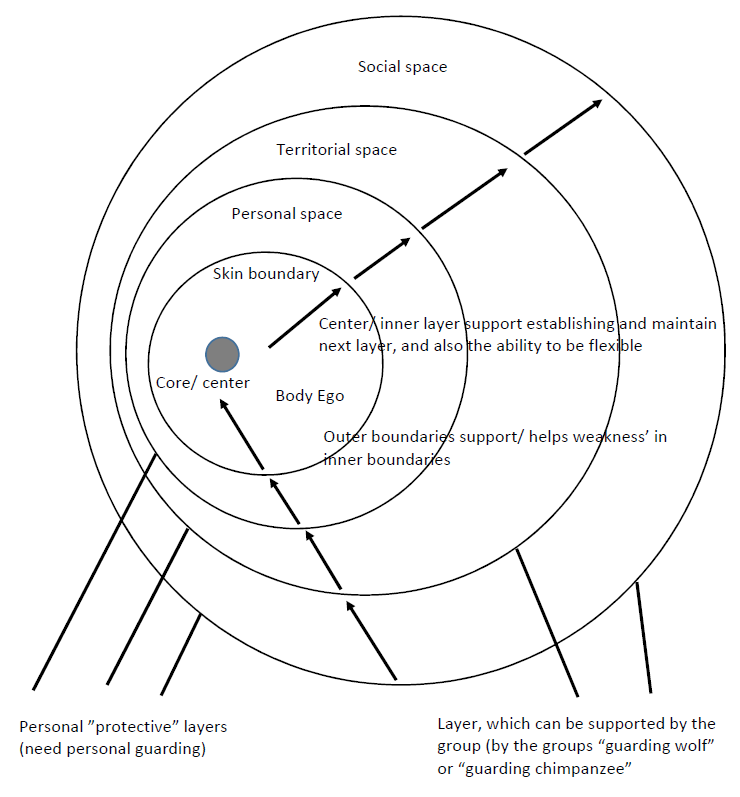 In such a case territorial space boundaries, keeping a living environment ultra organized and clean, or alternatively strewn with personal clothes or belongings is a way of using territorial boundaries to compensate for a lack of ability in more intimate personal boundary space. Kind of like a dog peeing to mark it’s territory. If there is difficulty in differentiating personal, territorial and social boundaries the last line of separation/defense/differentiation becomes the skin boundary. The ability to sense the skin boundary and utilize it as a psychological resource is developed in utero to about 1.5 years of age. Disruptions or trauma in this age range could set up a person for having difficulty for life if the body-ego is not sufficiently developed to allow regulation of this organ. Energy Management is another Bodynamic Ego function that could be at play here. Fascia which wrap around the muscles and are the layer between muscle and skin are psychologically responsible for containing high levels of energies and emotions. Prolonged trauma or stress can adversely affect this important layer as it becomes over-utilized in order to manage difficult emotions inside the self. This well then have a negative effect on the endocrine function in associated areas. Bodynamic bodymaping can be used as a tool to determine how well the muscles and fascia are functioning from a psychological developmental perspective. With future correlative research (which I hope to personally engage in) it may be possible to establish causality for the psychological reasons that underlie skin issues where there is a breakdown in integrity and function. This may also help explain why skin issues show up in different parts of the body, like the hands, arms, face scalp for example. Muscles and fascia in each parts of these body areas serve a specific physiological and psychological purpose. The tricky thing here is that it may not be the affected area where the actual problem is. It may just be the area where there are actual resources that are being over utilized and compensating for a lack or resources elsewhere. This is why getting a full bodymap done, and taking a look at the whole picture psychologically and physiologically is important. It is well known that hormones (such as androgens aka. “male aggression energy”) affect SG activity. Therefore emotional stress and the physiological neural preferences could have an impact on localized skin issues. See my bodymap for further analysis. Muscles and fascia that are hypo-tonic signify areas of the body that are pyscho-emotionally inadequately brain-neural mapped in the limbic system. They are energetically under-resourced, and the lack of containment and function, likely results in undesirable leakage of said energy. Sebum is a mixture of fats, and releasing to many be a sign of poor energetic emotional containment. Emotions as opposed to thoughts are denser energetically and are symbolized biochemically by fat, where thoughts could be biochemically symbolized by glucose. The skin ideally acts as a barrier to contain emotions. This is done psychologically by sensing into the body and feeling emotional energy bounded by the skin and contained by it. For some people this skill/neural map may need to be learned, and it’s possible this may have the effect of decreasing hormonal activity at the skin level and therefore SG activity reducing triglyceride leakage or unnecessary expulsion. 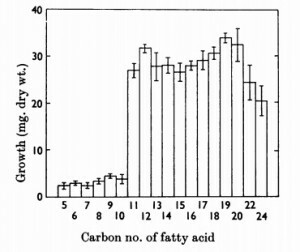 Acidity could also be symbolized by aggression energy, and a lack of containing and nurturing aggression energy could lead to an alkaline/more permeable skin barrier. Aggression is an important life force factor, one that too many people “leak out/expel” emotionally due to fearing it’s power, or bad beliefs around it. New neural maps will need to be created to harness the benefits of aggression psycho-somatically and hypo-tonic fascia and muscles need to be brought back online, in order to affect the endocrine-skin-barrier functional system.